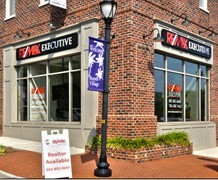 The Fort Mill RE/MAX Executive Office is located in Baxter Village along the I-77 corridor in the northernmost part of South Carolina. Fort Mill is one of the fastest growing communities in the state, resident enjoy a high quality of life and a strong sense of community, schools are among the best in the state and perform well above nation standards. This close proximity to the Charlotte metropolitan area provide numerous educational, recreational and employment opportunities.